Hanging folder frames feature breakaway notches every 1/2 for adjustment for installation in drawers from 24 to 27 deep. Heavy-duty, coated steel construction meets federal specifications. 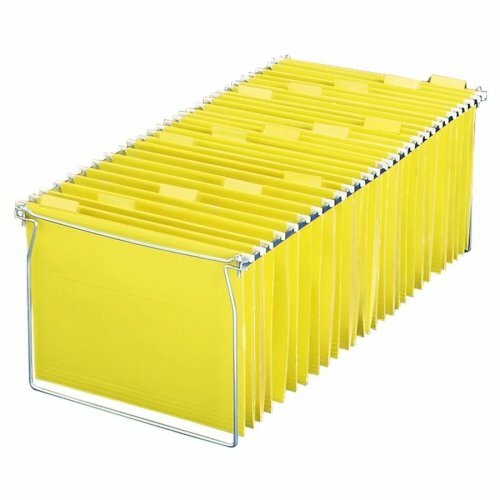 Hanging folder frame features breakaway notches every 1/2" for adjustment and fits 24" to 27" drawers. Rails are 27" long and have breakaway notches down to 24". Heavy-duty, coated steel frame meets federal specifications. Hanging folders are not included. If you have any questions about this product by Oic, contact us by completing and submitting the form below. If you are looking for a specif part number, please include it with your message.